Dr. Nazilla Khanlou, the Women’s Research Chair in Mental Health at York University, is conducting a study titled “The impacts of gender and migration status on accessing direct/flexible/self-directed social funding for developmental services in Ontario” (the YADD Study), in collaboration with Ms. Gail Jones (Kerry’s Place Autism Services) and Dr. Karen Yoshida (University of Toronto), funded by the Ontario Ministry of Community and Social Services. In Ontario, few studies have focused on immigrant parents of children and youth with developmental disabilities (DD), or have looked at gender differences and similarities in social support and service needs in the context of parenting children with developmental disabilities. Previous research by Dr. Khanlou’s research team has identified the unique challenges of raising children with DD for immigrant families. For example, the research team has found an amplification effect in the way immigrant families of children with DD experience challenges in relation to language barriers and the complexity of navigating the multiple systems of service for families (Khanlou et al., 2015; Khanlou et al., 2015). To explore the advantages and disadvantages in accessing those funding models in terms of gender and migration status. The proposed study is one of the first of its kind in Canada. Through its focus and design, the study will help bridge the knowledge gap regarding young adults with DD and their family caregivers’ experiences of accessing social funding for developmental services. By including service providers in the study, the team will have multiple perspectives on the barriers and supports related to accessing social funding for developmental services in Ontario. The study results can be used to design accessible, responsive and seamless use for young adults with DD and their families in Ontario’s increasingly diverse communities and society. (1) Young adults with developmental disabilities between the ages 19 and 29 years (immigrant and Canadian-born). 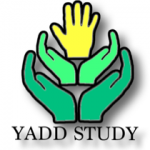 Download and share the study flyer for young adults (PDF). (2) Caregivers (mothers, fathers and other family caregivers or guardians)(immigrant and Canadian-born). Download and share the study flyer for caregivers (PDF). (3) Service providers. Download and share the study flyer for service providers (PDF). For more information please see attached Study Flyers or contact Dr. Luz Maria Vazquez, Research Coordinator, at lvazquez@yorku.ca.